If you or your child has mobility issues due to scoliosis, John Regan, MD, can help. 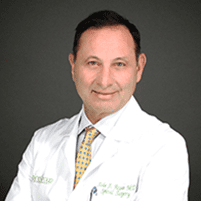 At Spine Group Beverly Hills in Beverly Hills and Santa Monica, he can provide cutting-edge, minimally invasive spinal fusion surgery to address the curvature of the spine. He creates a custom treatment plan to prevent scoliosis from progressing and to ensure your spine is in good health. Learn more about available treatment options for scoliosis by calling Dr. Regan’s office in Beverly Hills or using the online booking feature. Scoliosis is a curvature of your spine that typically develops during the growth spurt you have before puberty. The exact cause of this condition isn’t understood, but in some cases, scoliosis can be the result of muscular dystrophy, cerebral palsy, or spinal injuries or infections. While many children experience mild spinal curvatures, some continue to develop spinal deformities that can interfere with their mobility and quality of life as they reach adulthood. Common signs of scoliosis include uneven shoulders or having one shoulder blade that sticks out more than the other. You may also experience difficulty walking or standing due to uneven hips. In severe cases of scoliosis, your spine can twist enough that the ribs on one side of your body noticeably protrude. How do you diagnose scoliosis? Scoliosis is usually identified early in childhood during routine physicals. Dr. Regan can work with your family physician to create a treatment plan to reduce the progression and severity of scoliosis while your child is still young. He can also treat scoliosis in adults. During the physical exam, Dr. Regan evaluates your spinal health. He may ask you to perform certain movements, such as bending forward, to assess the severity of the condition. Dr. Regan can use X-ray imaging tests to confirm scoliosis and rule out other conditions, such as a tumor, that may be causing your symptoms. Children who show only a mild to moderate curvature of the spine may benefit from a brace to straighten their spine. Dr. Regan also carefully monitors their condition every six months to ensure the condition isn’t progressing. In severe cases of scoliosis, Dr. Regan may suggest minimally invasive surgery to reduce the spinal curvature and prevent additional medical complications. In most cases, he uses an innovative spinal fusion technique to connect two or more bones in the spine to prevent their movement. During the surgery, Dr. Regan uses a coflex® device made of metal rods and screws to eliminate spinal movement. If scoliosis in a child progresses quickly, Dr. Regan may suggest installing an adjustable spinal rod that he can lengthen every few months as your child grows. Schedule a scoliosis consultation by calling Dr. Regan’s Beverly Hills office or by using the online booking feature.